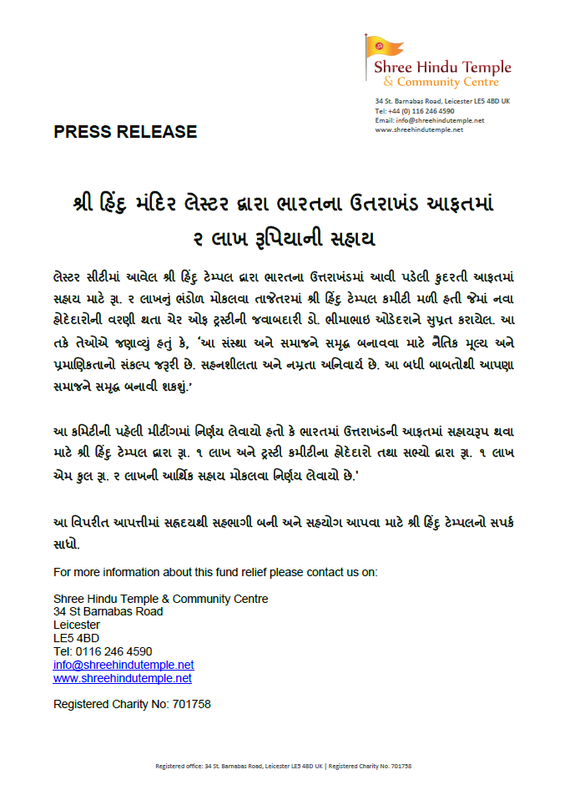 Shree Hindu Temple and Community Centre, Leicester has pledged to provide R.2Lakh to people effected by Uttarakhand Floods, in the northern state of India. 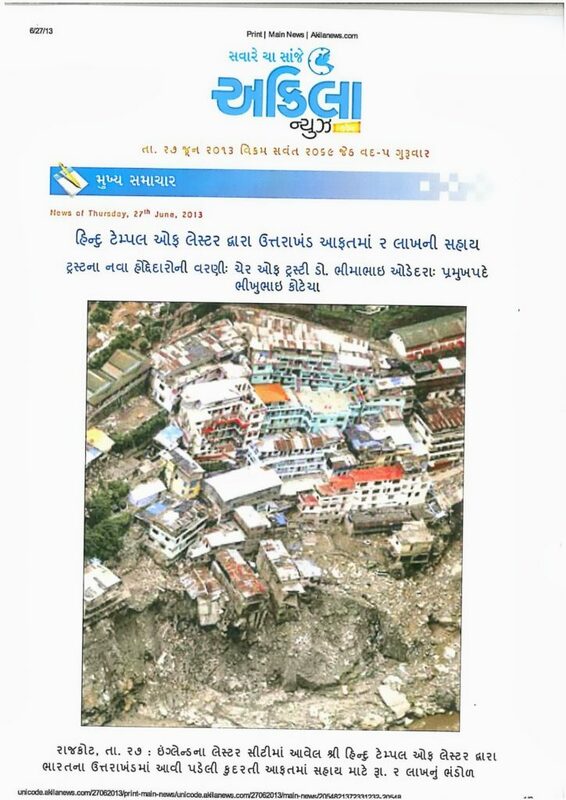 This fund will be provided immediately to help with food, clean drinking water, shelter and medical supplies. This was the first decision taken by the newly elected committee and with the resounding approval from all members, also the committee members and volunteers personally contributed R.1 lakh. Shree Hindu Temple and Community Centre is the 1st Temple/Mandir in the UK if not in the world to provide this donation to Uttarakhand flood victims. Further funds will be collected in days to come, with special events and programmes planned to raise the fund. 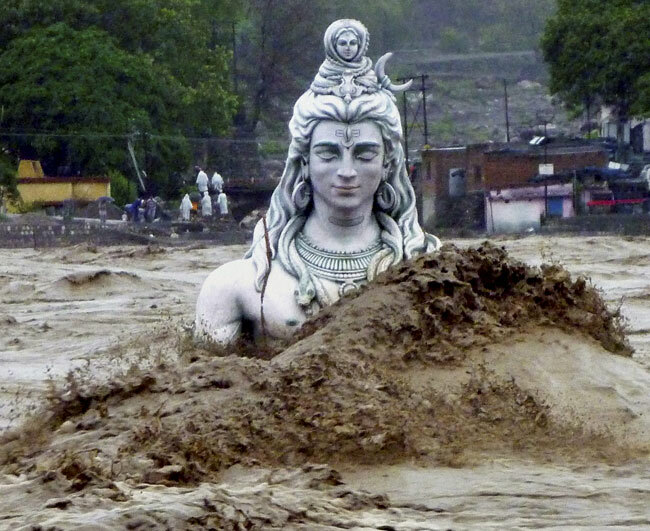 On behalf of all members, volunteers and devotees of Shree Hindu Temple and Community Centre, Leicester, our prays and thoughts are with all those effected by this natural disaster.